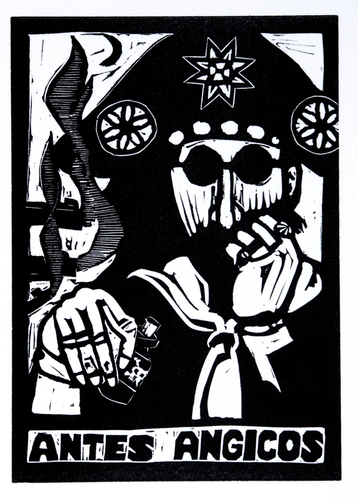 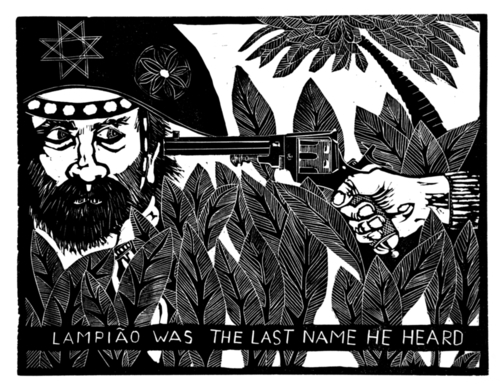 "Lampiao Was the Last Name He Heard"
Limited Edition hand pulled relief linocut prints: printed on various papers: Lokta, Ginwashi, Somerset, etc. 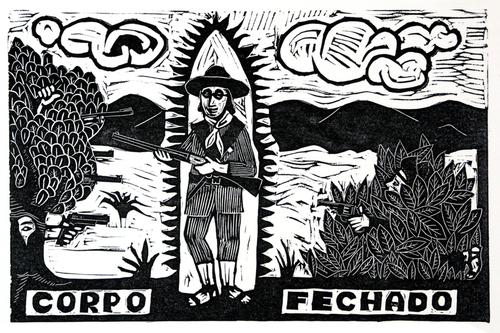 "A Mao de Luis Pedro"
Limited edition, hand pulled relief prints;various papers: Lokta, Ginwashi, Somerset, etc. 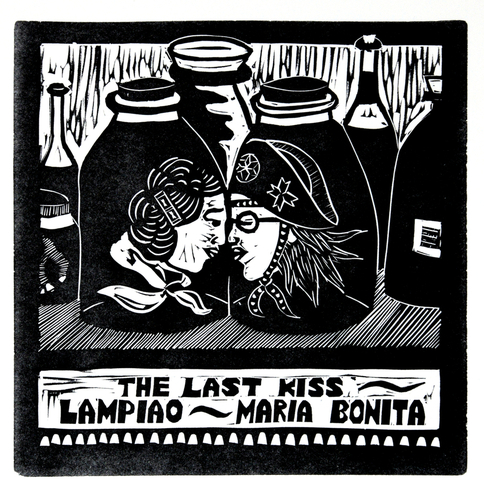 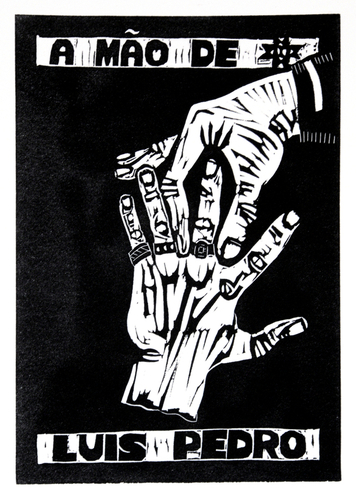 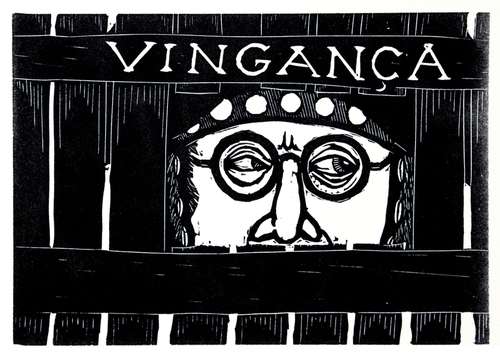 Limited Edition, hand pulled relief linoleum prints; printed on various papers: Lokta, Ginwashi, Somerset, etc. 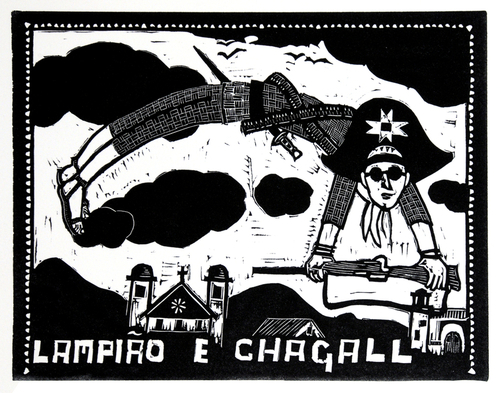 "Lampiao and the Unfortunate Soldier"